Painting wine glasses is a fun and relaxing project. I use an enamel that is baked on and they say, dishwasher safe. These are available in my gallery in the Alaska Center,or you can order them. $10.00 each, variouse colors and design. 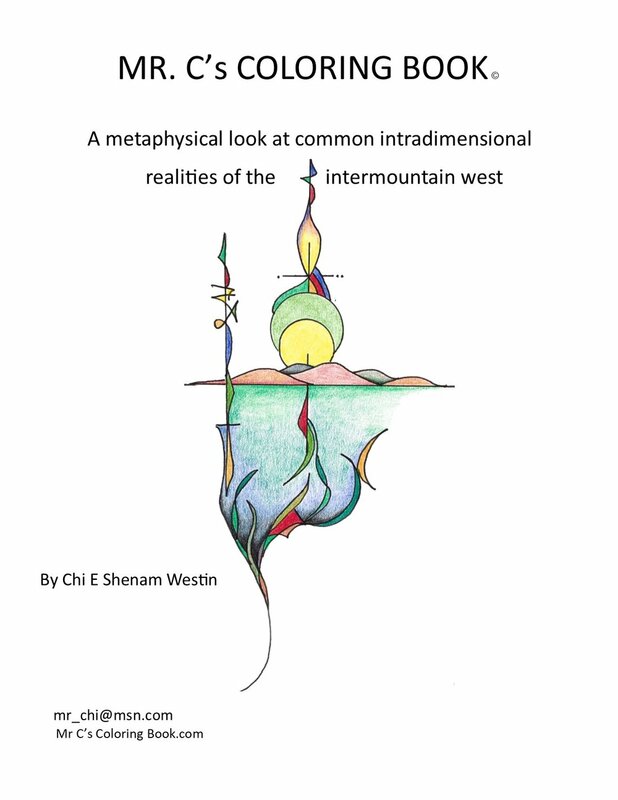 Mr. C's coloring book, a metaphyical look at the ordeary intadimenional realitys of the intermountian west. This coloring book reflects the style of drawing I have been doing for over 20 years. I create the border first, then I put in the scene and layers of story as I draw and look into possibility. I use Prism color Pencils or Gouache Paint. Generally on the borders and in the fancy design aspects of the picture, I put complementary colors next to each other. In the main body of the art, I use as many as 3 or 4 layers of color for depth and value. I like to have large areas of open space to be able to really use a lot of color. I think of those areas as free color zones. 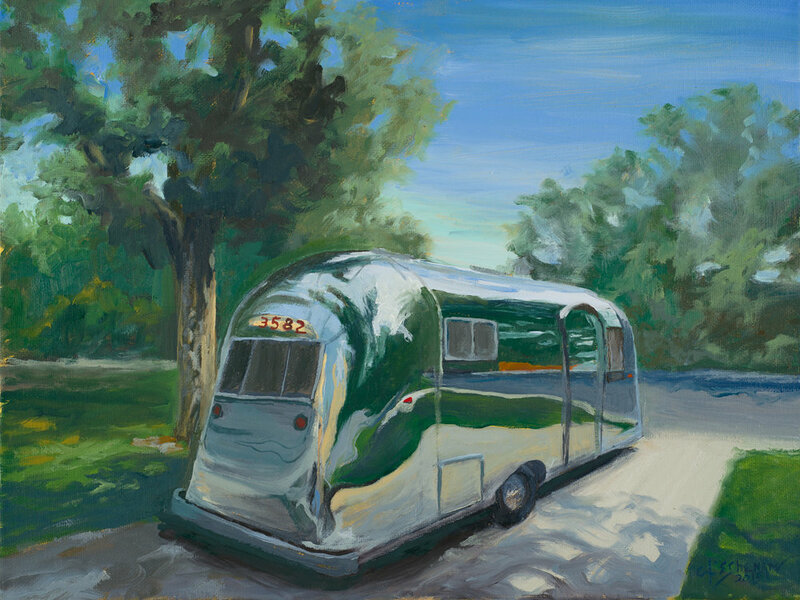 Trailers, mountains, oceans, deserts and a cat available in 5x7 in. cards with envelope.